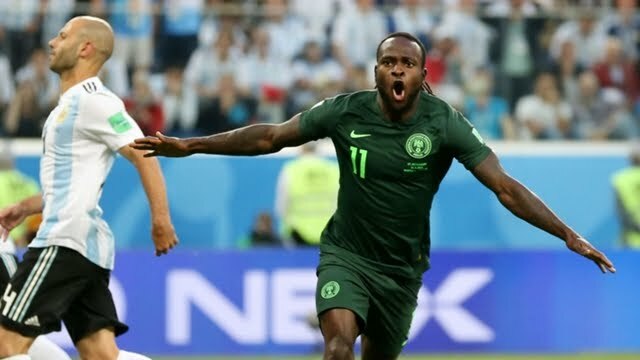 In what might seem as favouritism to some and squad quality boosting to others, there are speculations that Victor Moses, who retired from the national team, will make a return to the Super Eagles soon. BusyBuddies sources speculate that the Chelsea loanee has been cajoled back to the team and will be included in the squad that will face Seychelles in the dead rubber 2019 Africa Cup of Nations final qualifying match and the much anticipated friendly against The Pharaohs of Egypt. The 28-year-old’s retirement announcement from the Super Eagles came as a shocker to the fans and supporters because there was no evident reason for quitting at a ripe age where his experience and prowess could help the team. BusyBuddies sources also postulate that the NFF president, Amjau Pinnick might have a hand in his possible return after much persuasion and assurances had been granted. The premier league winner stated that he needed more playing time with new coach Maurizio Sarri, however, he was relegated to the ‘back bench’ in the squad with the new manager saying he has no use for him. Moses has now made a move to Turkish side Fenerbahce and has featured in one match coming on as a substitute.